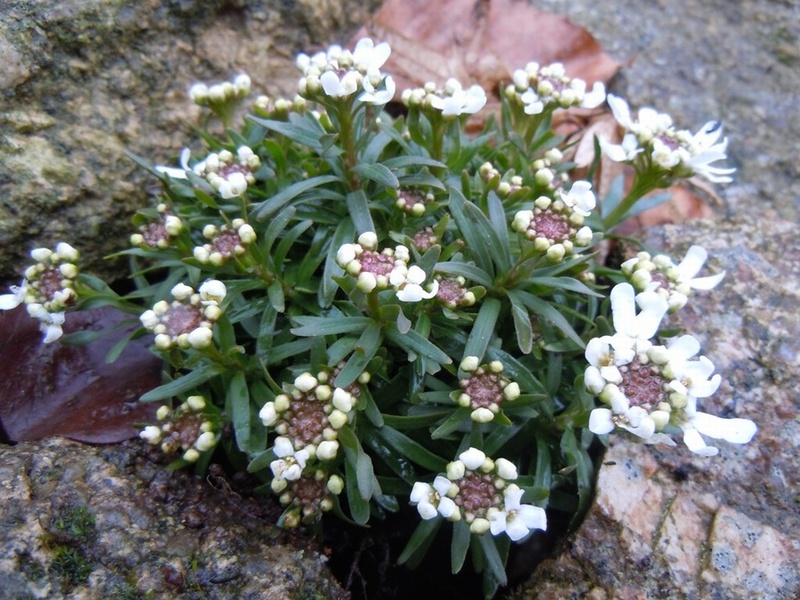 Clusters of pure white flowers appear in Spring above low growing mounds of evergreen leaves, ht 15cm. 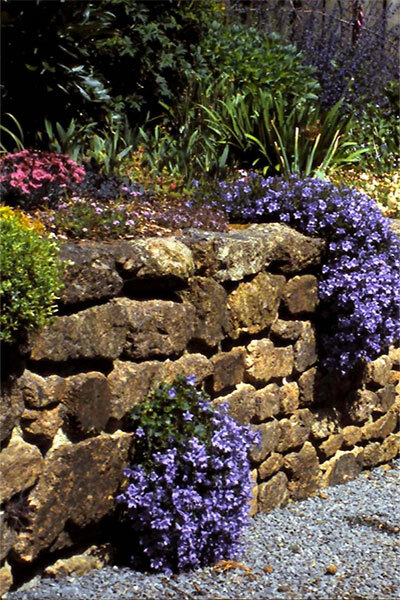 Easily grown in the front of the border or beside paths. Also good in pots and containers.